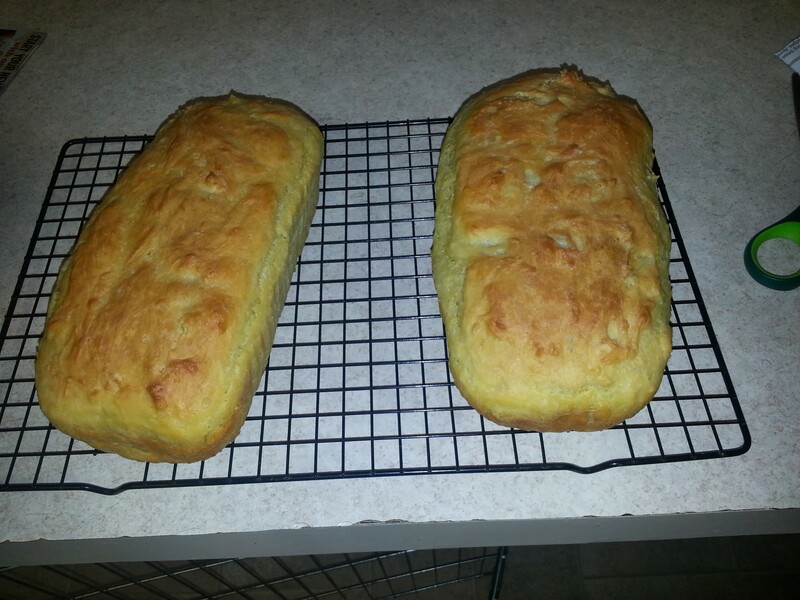 Ok, this recipe for English Muffin Bread is wonderful! I love to make it and freeze some for later. It really tastes just like English Muffins, only better because you know you made it and you are amazing! You don’t even a Kitchen Aid to make this. You do however need a REALLY big bowl. The recipe makes 4 loaves but you can cut it down to whatever works for you. I will say if you make all 4 loaves, don’t use your Kitchen Aid. You will be right at the top of the bowl. This is where I found the original recipe. I do need to point out that is is a great blog as well! I find lots of great ideas here. 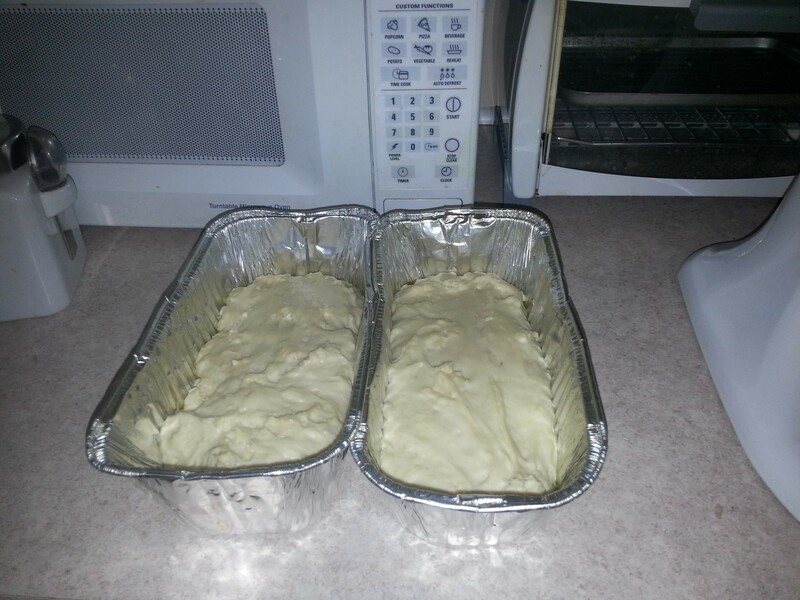 Mix altogether, then spoon into 4 greased loaf pans. Let rise in pans until dough reaches the top of the pans, and bake in 350 degree oven for 45 minutes or until golden brown. 10 minutes before done, brush with melted butter. Makes 4 loaves. Bread will be moist at first. Allow to COOL COMPLETELY before cutting, it will break apart if it is still warm. Makes terrific toast. I like to toast it and put a fried egg on top, but try it how you like it. Jelly, peanut butter, the possibilities are endless.